GU-VO, Tohono O'odham Nation -- The US has targeted two traditional Tohono O'odham districts, Gu-Vo District and Chukut Kuk District, with 15 new US spy towers built by the Israeli Apartheid corporation Elbit Systems, responsible for Apartheid security surrounding Palestine. On Tohono O'odham land, the US conceals the fact the US Homeland Security gave the spy towers contract to the Israeli corporation Elbit Systems, responsible for the Apartheid security surrounding Palestine and a manufacturer of drones. The Gu-Vo District opposes this proposal. 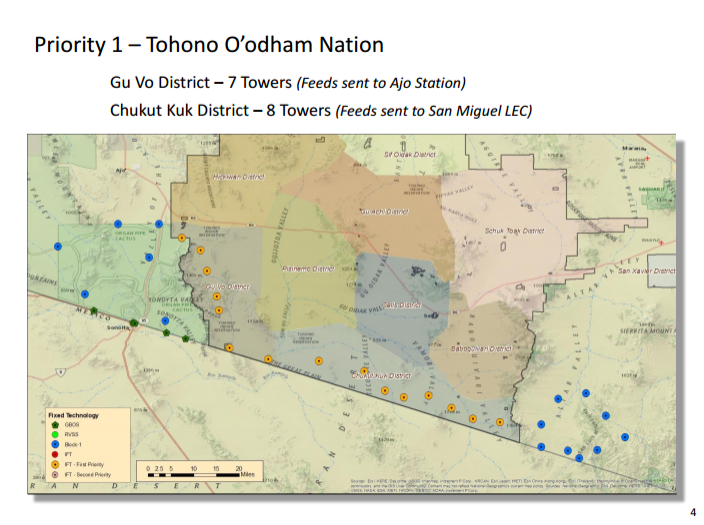 Gu-Vo is in the western most district of the Tohono O'odham Nation. 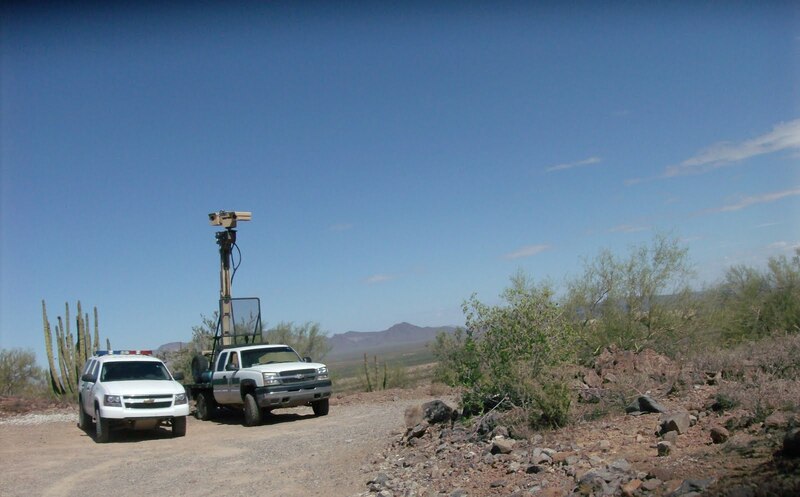 The Gu-Vo District said in a statement, "The Gu-Vo District opposes these proposed tower sites to protect cultural sites on the holy mountain now called the Ajo Mountain Range. The mountain holds human remains of our people and also places of our cultural practices (medicine bundles) home and home of the ceremonial deer and bighorn sheep and mountain tortoises that are protected under the Endangered Species Act." "The Gu-Vo District communities landscape have already been greatly impacted by numerous unauthorized roads and destruction of our mountains and hills of great significance to the O'odham way of life. Our future generations will face more restriction to live on our original lands as our rights as original Indigenous peoples continue to deteriorate." 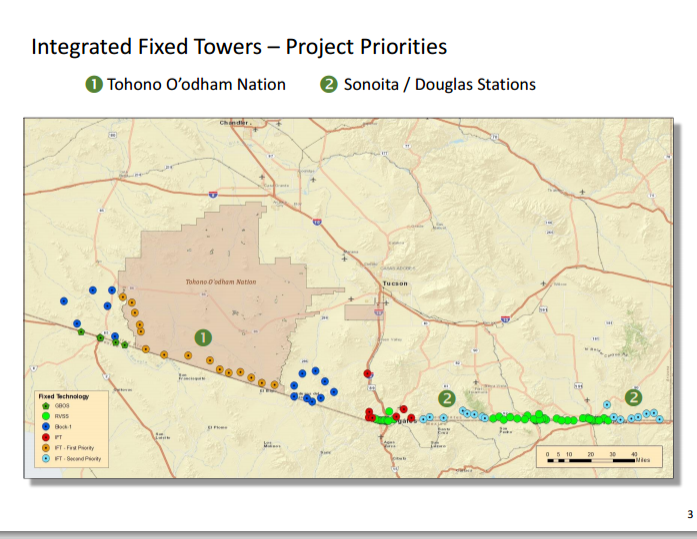 "These U.S. proposed towers also are not on the border but in our communities and on the border of the Tohono O'odham Nation reiterating discrimination and deliberate attack on the O'odham," said Gu-Vo District. While the US attempts to conceal who this contract has been granted to, the US border contract was celebrated in Israel. 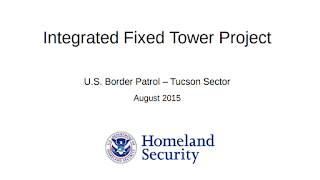 Last year US Homeland Security gave the $145 million Integrated Fixed Tower to Elbit Systems, an Israeli defense contractor, instead of to a US corporation. 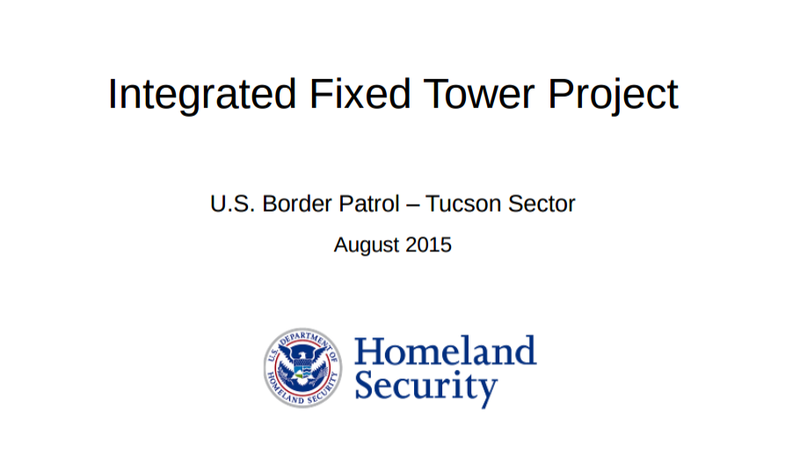 Prior to this contract, Boeing spent $1 billion attempting to build spy towers before announcing that its spy towers on the Arizona border did not work. The Israeli spy towers are the latest attack on the traditional O’odham, and a means of surveillance and oppression, for O'odham who live in their sovereign homeland. The increase of US and Israeli militarization on sovereign Tohono O'odham land has resulted in widespread human rights abuses, including rapes and murders carried out by US Border Patrol agents. US Border Patrol agents have been arrested and convicted in every region of the US border for running drugs. A Congressional hearing revealed that hundreds of US Border Patrol and ICE agents have been arrested and convicted of drug smuggling and serving as "spotters." Spotters are look-outs for the Mexican cartels and provide safe passage for the cartels to transport large loads of drugs into the US. The US government has armed the Mexican cartels since 2005 by way of the US ATF's Project Gunrunner, Wide Receiver and Fast and Furious. The US media has failed to expose how US agents are involved in drug smuggling at the southern border. The US uses the excuse of this so-called war on drugs in an attempt to justify these US Israeli spy towers, which violate all laws of privacy and human rights in the US. Meanwhile, universities have partnered with Israel to target Indigenous Peoples in the creation of drones and surveillance. The University of Arizona in Tucson is boycotted by O'odham human rights activists for designing drones and border surveillance which target and kill Indigenous Peoples globally. San Carlos Apache also boycott the University of Arizona for taking the lead, with the Pope, in placing massive telescopes on sacred Mount Graham in Arizona. Above: US spy tower near Sells, Arizona, on the sovereign Tohono O'odham Nation, viewed with outrage by a delegation of Mohawks, Lakota, Dine' and Pueblo during the Indigenous Border Summit of the Americas in 2007. The spy tower was located next to the "cage," constructed of a metal fence and concrete floor where migrants were detained, including Indigenous Peoples from Mexico and Central America, walking and hoping for a better life. 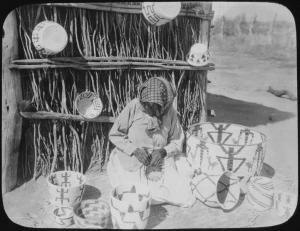 Large numbers of Indigenous Peoples have died on the Tohono O'odham Nation of thirst and dehydration. 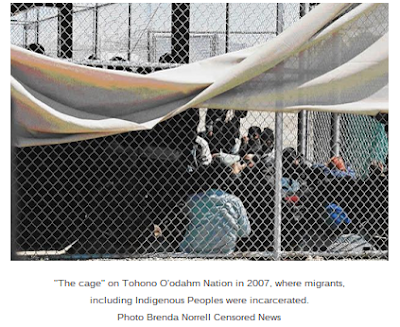 The Tohono O'odham Nation created a law which made it a crime to give a drink of water, or aid, to migrants. This law was opposed by Tohono O'odham human rights activists who say they have been instructed by their ancestors to carry out a spiritual way of life for all of creation, the Himdaag way of life. Epoch Times: During the Congressional hearing on border agent crime, the US admitted that since 2004, over 130 agents of the U.S. Customs and Border Protection (CBP) have been arrested, charged, or otherwise prosecuted on corruption charges. The convictions include alien and drug smuggling, money laundering, and conspiracy. 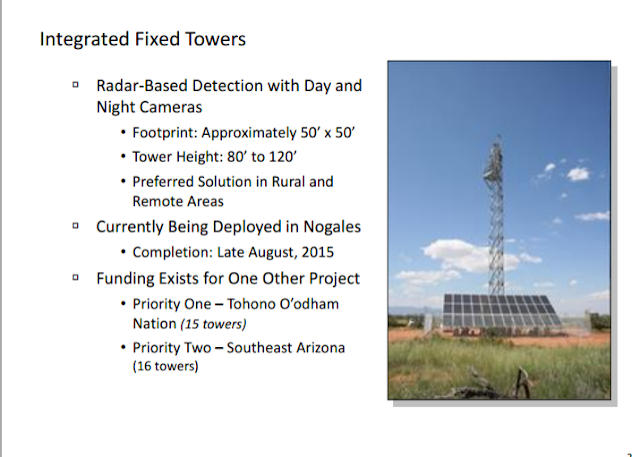 The IFT systems will consist of surveillance equipment (e.g., ground surveillance radars and surveillance cameras) mounted on fixed (i.e., stationary) tower(s); all necessary power generation and communications equipment to support these tower sites; and command and control (C2) center equipment (including one or more operator workstations) that are capable of displaying information received from surveillance towers on a common operating picture (COP), based on current BP AoRs.